The new Speedmaster Surf for beach ledgering comes in a telescopic and a 3pcs version. They are very powerfull and have excellent casting performance. Strength, lightness and sensitivity are key points. This high quality mid-price level rods have been developed to appeal to an audience of skillful anglers. In both the telescopic- and the 3pcs model the same casting weights are offered, hence 80 -120g. 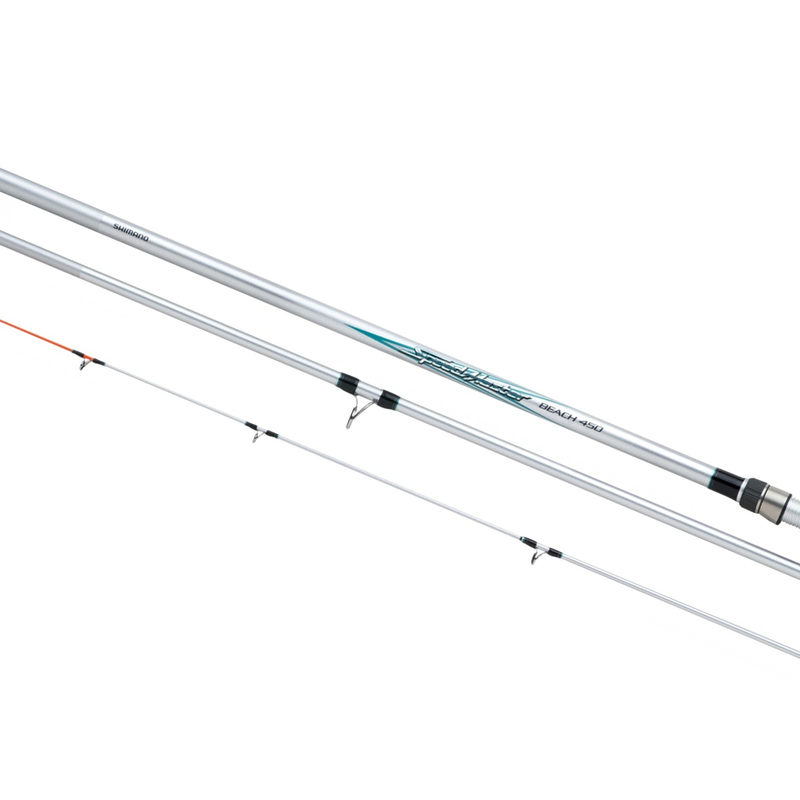 Both the telescopic- and the 3pcs Speedcast Surf come in a 4.20m and 4.50m version. These two lengths give the angler the choice to approach different fishing spots and fishing situations.